A small and warm hotel in traditional style, Hotel Courmayeur is situated just 200m from the main cable-car. Located on Via Roma – the cobbled heart of Courmayeur, this family-run hotel has been welcoming guests for over 50 years. The welcoming bar and lounge area with fireplace provide plenty of comfortable seating in cosy, relaxed surroundings. The Hotel Courmayeur is a well established hotel and has a homely and warm atmosphere making it an ideal winter retreat and a great base for skiers in the heart of Courmayeur within the pedestrian zone, close to shops, bars and the main cable car station. Sat just a few steps from the pedestrianised centre of Courmayeur yet within easy reach of the main cable-car, the location can’t be beat. 20m from Via Roma and just 200m from the nearest cable car. Hotel Cresta et Duc blends modern style and warm Alpine hospitality through its stylish décor and use of rustic materials such as stone and local wood. With a central location moments from Via Roma, Hotel Cristallo is one of the best situated hotels in Courmayeur. The town's smart shops and restaurants are within easy reach, as is the main cable-car which is just a 5 minute walk (400m) away. Offering a value option in chic Courmayeur, this charming bed and breakfast property is in traditional style with beamed ceilings and wood panelled rooms. The elegant Granbaita sits in an upmarket area around 10 minute’s walk from the centre of Courmayeur. Having been recently refurbished, this stylish Alpine hotel offers sophisticated interiors and bedrooms – some with Mont Blanc views. Known for its great staff and high levels of service, guests can enjoy a wealth of facilities. The charming Hotel Scoiattolo (Squirrel) offers its guests good accommodation in the heart of Courmayeur, right opposite Bollino park. 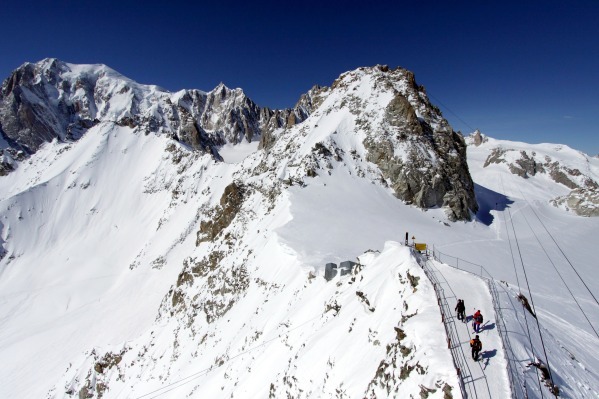 Enjoy views of Mont Blanc and the surrounding mountains from every angle. You may upgrade locally to take dinner at the hotel’s elegant ‘Al Torchio’ restaurant specialising in typical Aostan dishes using locally sourced ingredients. Built in classic Alpine chalet style, the family run Hotel Walser combines modern comforts with traditional, friendly service and an exceptionally warm, relaxed atmosphere. It is conveniently situated just a few minutes walk from Courmayeur's charming centre. Berthod N/A Hotel Berthod is an elegant and friendly hotel located right in the pedestrian area of Courmayeur. The hotel features a comfortable lounge area with modern bar area and fireplace, along with a small wellness centre with a gym, sauna and hot tub. A buffet breakfast is served in a separate breakfast room and includes local produce. All rooms are comfortable, include en-suite facilities and most have a balcony and fantastic views of Mont Blanc and the Courmayeur Valley. This exquisite hotel, ideally situated in the resort centre, is family-run, which means that you can always rely on a genuine welcome from the charming Italian owners. The Bouton d'Or's well furnished rooms and its warm and friendly atmosphere are just two of the reasons why British guests return to this hotel year after year. 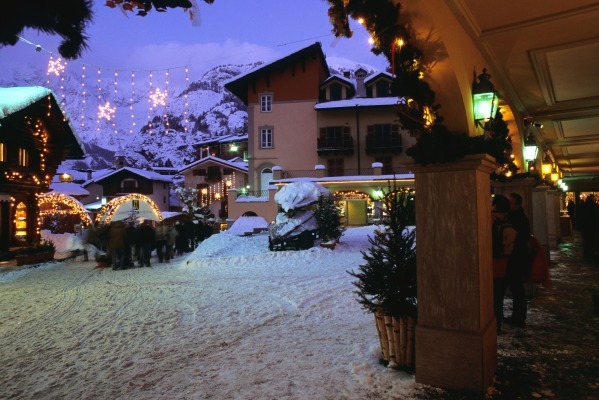 Hotel Crampon is a family run hotel close to the pedestrian area in the centre of Courmayeur. The hotel has recently undergone a complete renovation and all 23 rooms are comfortable and clean, and the lounge bar, complete with fireplace, is perfect at the end of the day's skiing. 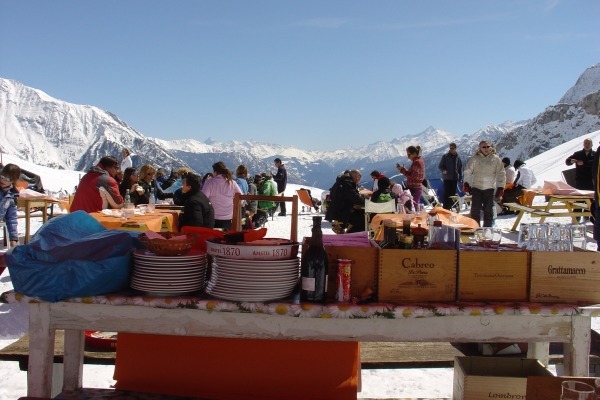 Offered on a bed and breakfast basis, this allows you to sample some of the delicious local and internationally inspired cuisine in Courmayeur's many bars and restaurants. Boasting an enviable position the Hotel Cresta et Duc sits just 20 metres from the shops and bars of the pedestrianised street with the resort’s main cable car a few minutes’ walk away. The rooms ooze homely charm with enchanting views of the forest, town or Mont Blanc mountain range. With a good reputation for food, guests will be able to relax in the cosy bar area or take advantage of the wellness facilities including sauna, Turkish bath and hot tub. Croux N/A Hotel Croux provides accommodation to an excellent standard. It is a traditional Alpine style with a fantastic range of facilities. Just a few steps from the centre of Courmayeur and walking distance to the cable car, the hotel is in such an ideal location to explore the resort and ski area. Dolonne N/A The Hotel Dolonne is situated in the charming little village just outside of the main resort of Courmayeur and is the ideal, quieter option in a quaint, 16th century fortified house. Boasting 32 spacious and uniquely decorated rooms, the beautiful stonework throughout is a clear indication of the hotel's history whilst modern comforts bring the hotel into the 21st century. Featuring a homely restaurant serving authentic local dishes, as well as a cosy lounge area with an open fireplace. Edelweiss N/A The 2* Hotel Edelweiss sits in a quiet position near the village centre of Courmayeur in the Aosta valley, at the foot of the imposing Mont Blanc. The hotel features 30 bedrooms which are decorated in traditional Alpine style with wood-cladded walls. Each room offers en-suite facilities and includes TV, telephone and hairdryer. There are a good selection of room types available including single, double/twin and triples making this a good choice for groups. Gran Baita N/A Situated in a quiet location in Courmayeur, the elegant Hotel Gran Baita will provide you with a wonderful stay. The cosy bar and lounge area is the perfect place to relax and unind with a glass of wine or local beer before sampling the culinary delights of the restaurant. Guests are welcome to use the hotel's amazing sauna with panoramic views, outdoor pool (heated to 31 degrees!) or the indoor hot tub - the choice is yours! Grand Mont Blanc N/A The Grand Hotel Courmayeur Mont Blanc is situated in a peaceful, sun-drenched area close to the pedestrianised centre of Courmayeur. The hotel complex is made up of four main buildings; a central clubhouse as well as three chalet-style blocks off the side that holds 72 beautiful bedrooms. When you've exhausted yourself on the slopes, why not enjoy the luxurious Spa area or elegant lounge bar, complete with a cocktail or ice cold beer. Hotel Lo Scoiattolo is situated in a central position in the village of Courmayeur in the Aosta Valley, around 100m from the pedestrian area, and right in front of the Bollino park. The hotel offers 22 recently-renovated rooms with contemporary décor and there's a good selection of standard, comfort and junior suites available. Guests can spend their evenings in the Al Torchio hotel bar or enjoying the new spa area. Maison Saint Jean N/A Sitting in an excellent location in the centre of Courmayeur, Hotel Maison Saint Jean is just an eight minute walk from the main cable car and next to the centre of resort. The hotel benefits from a wellness centre with an indoor pool, sauna and steam room. There is also the Aria Restaurant serving innovative specialities as well as modern Aosta Valley cuisine. Offering plenty of traditional mountain charm, within a few minutes' walk of the cable car in Courmayeur, the Hotel Pavillon is a very pleasant 4* Alpine hotel. The hotel has 50 bedrooms including standard double or twin, superior double or twin, family rooms and suites. Guests are welcome to use the leisure facilities including spa and wellness area with large swimming pool, jacuzzi, sauna, steam bath, solarium and fitness room. Pavillon N/A The Hotel Pavillon in Courmayeur is in an excellent location, within easy reach of the skiing and winter activities. 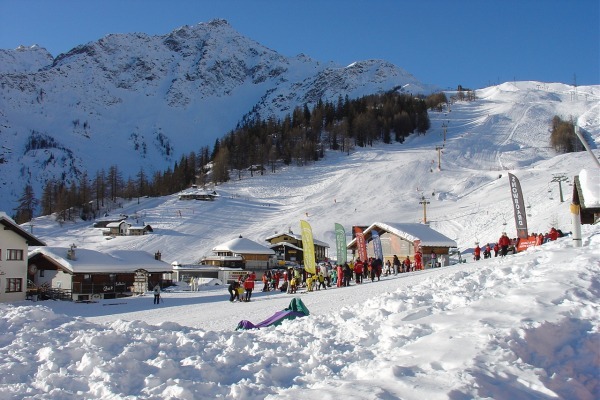 It is just 200 metres from the Courmayeur cable car and a short stroll of 500 metres (approx.) to the resort centre. 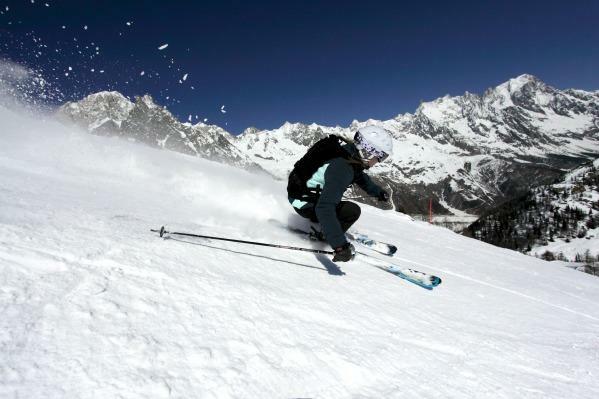 It is also close to the Dzeleuna ski lift, Dolonne Cable Car, Courmayeur Forum Sport Center and the Pre-Saint-Didier Spa. Pilier d'Angle N/A The Pilier d’Angle is a lovely little three-star plus hotel, built in traditional stone with a slate roof, on the edge of Courmayeur and offering a real feel of Aosta and true Italian charm. There is a charming restaurant with open fireplace that offers good regional cuisine. Guests are able to use the beauty and wellness spa 'Serendip' to soothe those aching muscles at the end of a great days skiing, for which moderate charges apply. Royal E Golf N/A Grand Hotel Royal E Golf is located at the foot of Mont Blanc, in the centre of the pedestrian area of Courmayeur and has been welcoming guests for more then 200 years. All rooms are furnished to a high standard and the lounge bar is the perfect place to relax and unwind after a great day's skiing or you may prefer to take advantage of the Spa and wellness facilities inlcuding sauna, pool and Turkish baths.